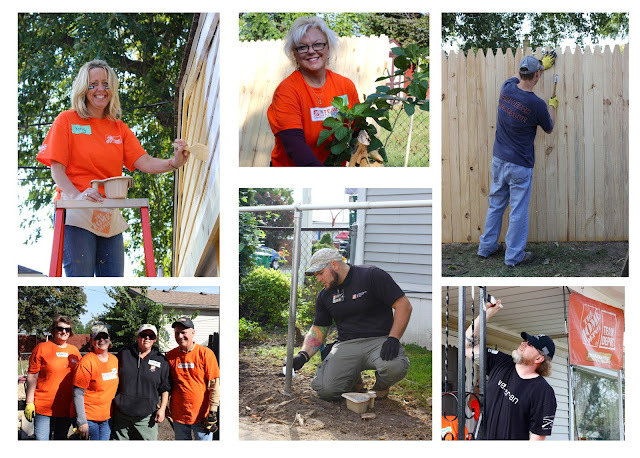 Last week I had the most amazing experience with Team Depot. 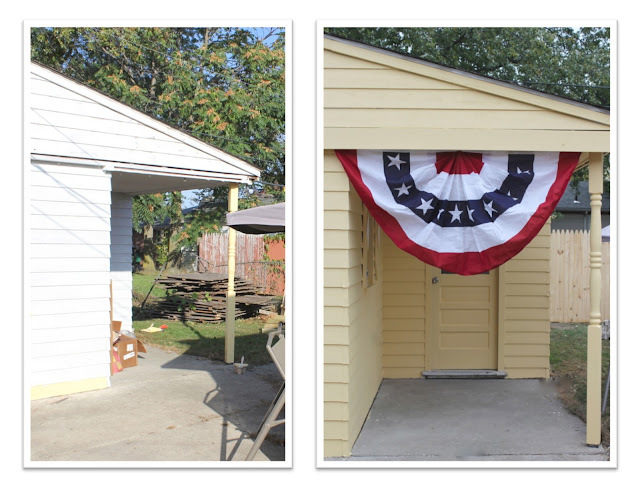 We began a home makeover for a very special veteran couple that will include a new kitchen and bathroom as well as repairs and updates to the exterior of thier home. Last Thursday, we started the makeover by tackling the exterior projects including fresh paint, new chain link fencing, new outdoor lighting, cement repairs, a new concrete paver patio, a brand new privacy fence, outdoor patio furniture makeovers, new porch steps and railing as well as a few aesthetic additions. 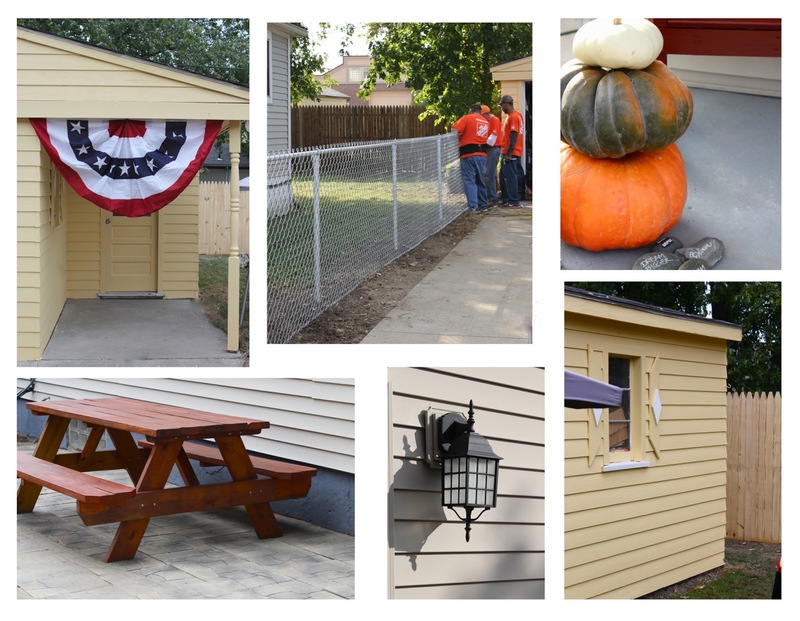 Ken lives in this home with his wife (who is also a veteran) and two adorable dogs. 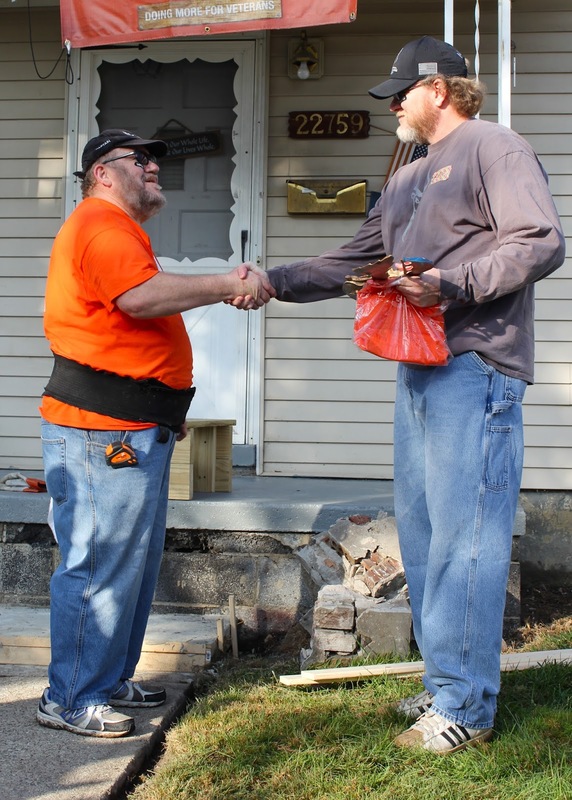 It was such a pleasure to meet him and work along side him and the Team Depot volunteer force. The day started early, we congregated outside Kens home for introductions. The entire team bonded and a sense of community was instantly in the air. The very first project was the installation of a new flag pole followed by a dedication of the makeover and an official thank you to Ken and his wife for their service. The dedication was finished with the group joining together in The Pledge of Allegiance. 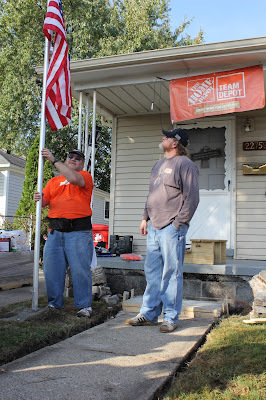 And, of course the Team Depot cheer, nice and loud so the whole neighborhood knew who was in town. It was obvious throughout the day that helping our Veterans is extremely personal to The Home Depot and it's employees (who happen to make up the Team Depot volunteer force). 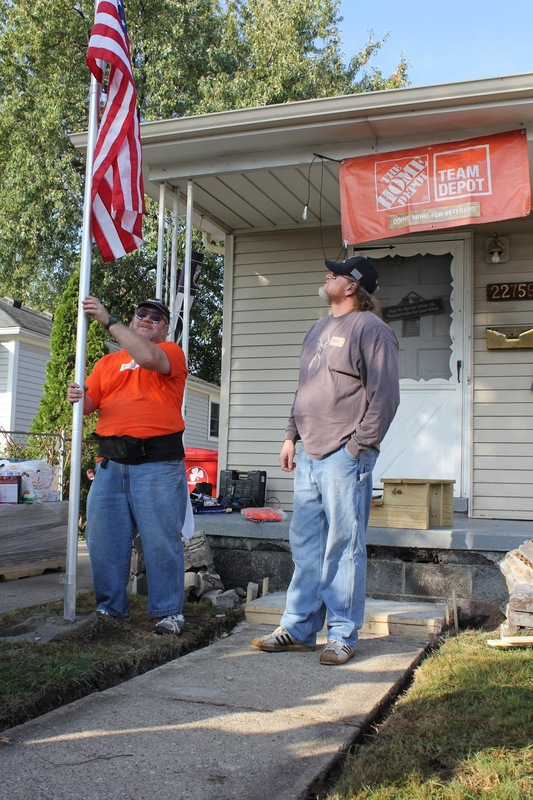 This is largely due to the fact that more than 35,000 of Home Depot associates have previously served or are currently serving in the U.S. Military. Thousands of Home Depot associates spend their time off volunteering their talents as members of Team Depot in communities across the country. 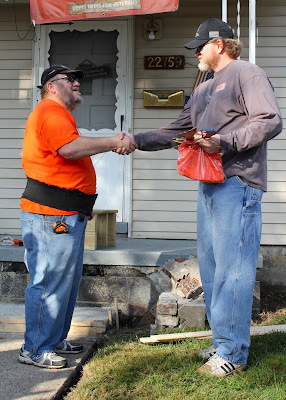 It was fun getting to know everyone as we worked to make improvements to the exterior of Kens home. Working together with these amazing people disguised the "work" we were doing as fun. Not only did the projects we completed give Kens home a bright, fresh updated look, but the transformational projects helped to improve the safety and accessibility of his home for years to come. 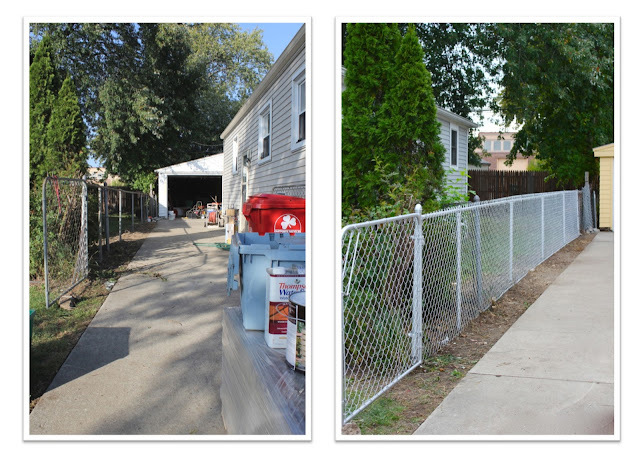 Our team was able to complete most of the exterior work in just one day. 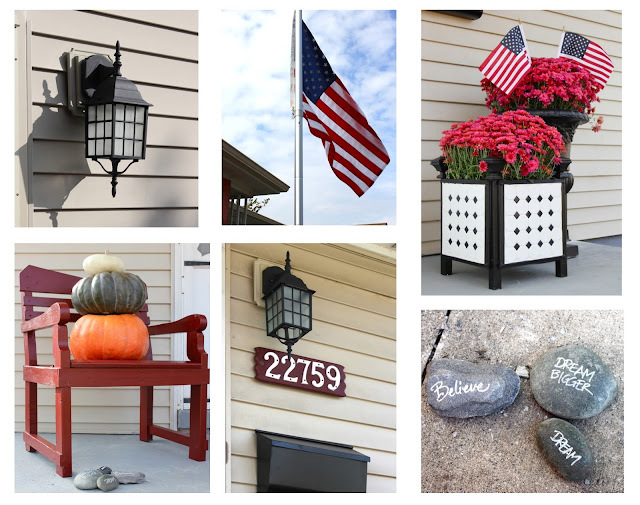 (You may recognize the black and white tiled planter on the front porch. 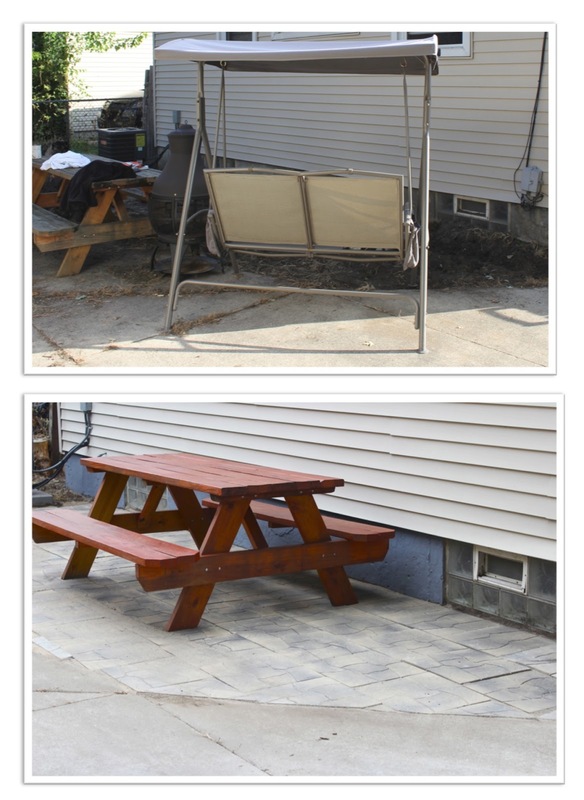 If you missed the post last week, this was a DIY project I made just for Ken and his wife. The full tutorial can be found here). TaDa! 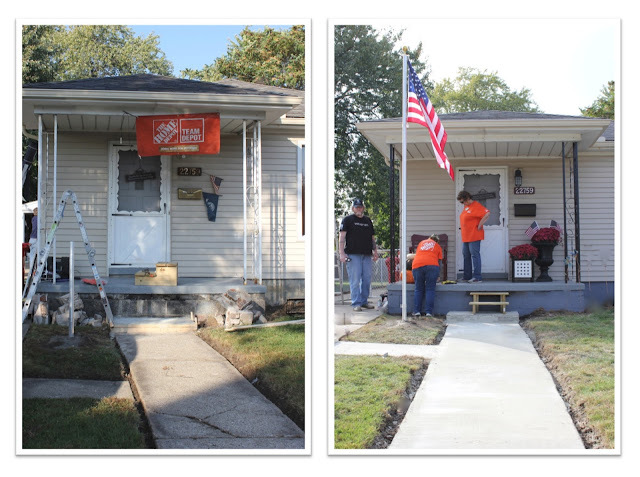 Next it's on to the Kitchen and Bathroom where Team Depot will begin the makeover on the insde of Kens home! Thanks for letting me share this amazing experience with you. 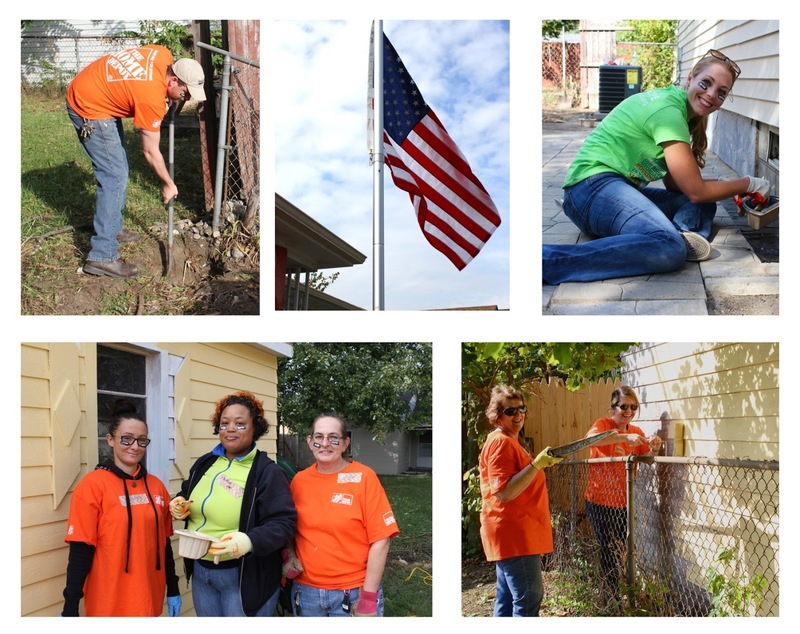 If you would like to participate in the Celebration of Service movement, you can help to give back to our veterans by posting a selfie of you helping out our veterans with the hashtag #serviceselfie. For each service selfie shared, Team Depot will donate $1, upt to $1 million, to nonprofits that help veterans in need. 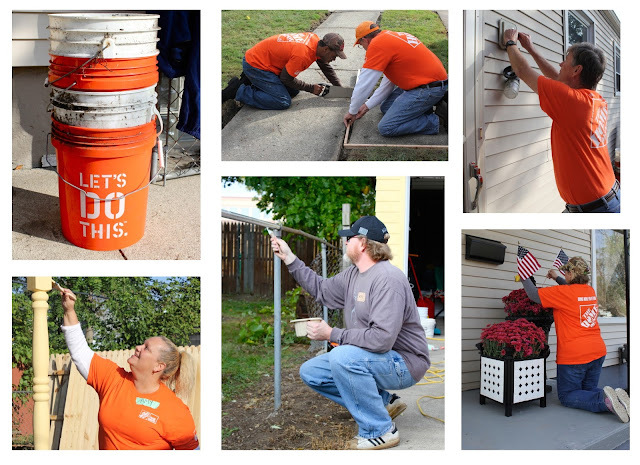 Follow Team Depot on Facebook, Twitter andInstagram.